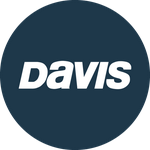 Davis Instruments Support, FAQs and Troubleshooting - On the Mark 3 Sextant how do you read degrees and minutes? All Categories ​>​ FAQ ​>​ Marine ​>​ On the Mark 3 Sextant how do you read degrees and minutes? You read degrees at the zero where the arm with the zero lines up with a degree mark. To read minutes, you simply find the two lines, one on the arm and one on the sextant body, that most match each other. There will only be two lines that match exactly or closest to each other and these are the minutes.